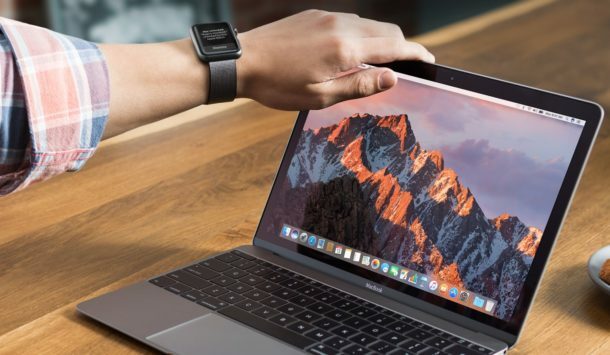 Apple has released the sixth beta build of macOS Sierra 10.12.2 to users participating in the beta testing programs. Anyone running a prior beta build of MacOS 10.12.2 can find the latest beta available now from the Software Update mechanism of the App Store. MacOS Sierra 10.12.2 is expected to include new Emoji icons, a few new wallpapers, minor feature adjustments, and various bug fixes (perhaps addressing some of the problems in this list encountered by select groups of users). While no public timeline is known for when the final version of MacOS 10.12.2 is to be released, Apple typically goes through multiple beta builds before releasing a final version to the public. This could suggest that MacOS 10.12.2 could debut as soon as next week. Separately, iOS 10.2 beta 7 is also available, suggesting that iOS 10.2 final will also be made available to the public soon as Apple often releases software updates to their operating systems in tandem. Maybe they just trolled me, I hope so, I don’t want to lose the ability of seeing how much time do I have on battery if I keep doing what I’m doing. I do not understand the logic to removing the battery life indicator, it has been around for 15 years since the debut of Mac OS X and prior versions of Mac OS also included a similar battery life indicator. Stay tuned, we’ll look into finding a way to bring this back as I use it all of the time as I’m sure many other MacBook users do as well. Even if it’s not always accurate, it can be helpful in offering a general idea of how your usage is impacting battery expectations. Hopefully a future MacOS software update will return the feature. I used that feature too, a lot, that’s why many of us are pissed off by this move, an ugly move Apple made in the worst moment. Keep up the good work Paul, I’ve been reading this site for quite a lot of years, and it’s a pleasure. I have a MacBook Pro 15in Mid 2010, Model ID MacBookPro6,2 Model Number A1286. After upgrading to macOS 10.12.2 last night (Dec 14) from the App store (no mention that this was a beta so I assumed it was a public release!) Safari no longer appears to work. Clicking on any bookmark link results in no page download. No blue bar appears in the page address field. I have cleared all history. No change. I have unchecked all proxy settings in Network preferences, but to no effect. Startup in safe mode makes no difference. Firefox, most recent release 50.1.0, is working fine, so what is wrong? I am writing this on an iMac running OSX 10.6.8 with absolutely NO issues! Apple’s silence when things go wrong is worrying.